Today was a travel day. We took a high speed train from Warsaw (Warszawa) to Kraków. The train ride was 2 1/2 hours and reached a maximin speed of 178 kph, or approximately 110 miles per hours. Kraków is in the southern part of Poland called “the Lesser Poland”. The weather forecast for the 19th of September for Warsaw was sunny in the AM and chance of rain in the PM. The weather forecast for Krakow is about the same. It was drizzling when we arrived in Kraków. Kraków has traditionally been one of the leading centers of Polish academic, cultural, and artistic life and is one of Poland’s most important economic hubs. It was the capital of the Kingdom of Poland from 1038 to 1569. Due to its central location between the Commonwealth’s capitals of Kraków and Vilnius, Warsaw became the capital of the Commonwealth and the Crown of the Kingdom of Poland when King Sigismund III Vasa moved his court from Kraków to Warsaw in 1596. After the invasion of Poland at the start of WWII, Kraków became the capital of Germany’s General Government. The Jewish population of the city was forced into a walled zone known as the Kraków Ghetto, from which they were sent to German extermination camps such as the nearby Auschwitz, which we will visit tomorrow. We are staying at the Hotel Gródek, which is just off the green way. It was in walking distance from the train station and Kraków Cloth Hall in Old Town area. After checking into the Hotel Gródek, we walk to The Kraków Cloth Hall in Old Town. The main churchSt. Mary’s Basilica was already closed for sight seeing. 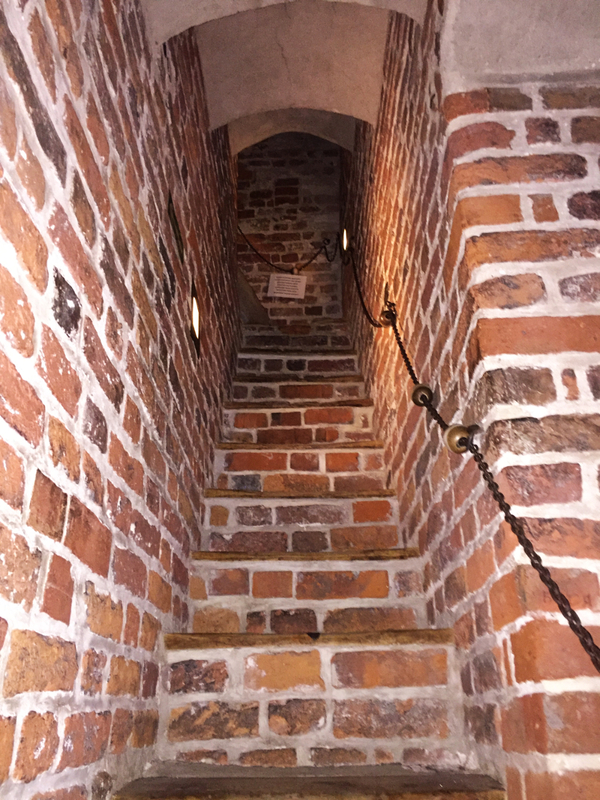 We wanted to climb the steps of the bell tower of St. Mary’s Basilica. We did the next best thing and climbed the steps of the Town Hall Tower (Trzy Wicze – Zegarowe). There were 72 steps. We were the last group of people to enter because closing. The Town Hall Tower cellars once housed a city prison with a Medieval torture chamber, but we did not get chance to see them. The view from the top of the clock tower provided a bird eyes view of the city. On our first night in Kraków, we ate at a Western restaurant, go figure. On my Nikon Myspace, I have more pictures of Day 3 in Poland (Short URL). Roman Catholic Church of St. Casimir in Warszawa on a sunny day.